I’d heard great things about this book and I went in with expecting nothing less. Ms. Maas delivered and then some. I am in all of her. Her writing is brilliant and a visual feast for the mind. Her world building is impeccable. She uses Beauty and the Beast as a loose framework. However, how Beauty and the Breast lit a spark in a little girls heart and mind; ACOTAR stokes the flames of passion and desire in the women those little girls became. Feyer is a young woman who became the bread winner for her family, after her father’s downfall. She has a bright soul that burns bright even with her trying to suppress it. She only wants to have a nice simple life with enough to eat and the time to paint. However, by taking a life in the woods her world is forever changed. She has to learn to let the light that burns within out and allow it to shine brightly. Tamlin and his people leave under a shroud of despair that lead to the life they have always known. He sees hope in Feyer maybe even an end to the despair that has plagued his lands for so long. However, his own good will may end it before it even has a chance to begin. 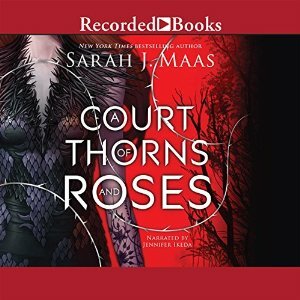 ACOTAR is a wonderful story. I haven’t a bad thing to say about. I loved all the side characters that built a believable and intriguing world. I wanted to surmise myself in this book… this world until I know every little thing that lives there. 5 stars read. Grab it and let the adventure begin.